For the first time in years, Nye County plans to roll out a new website. 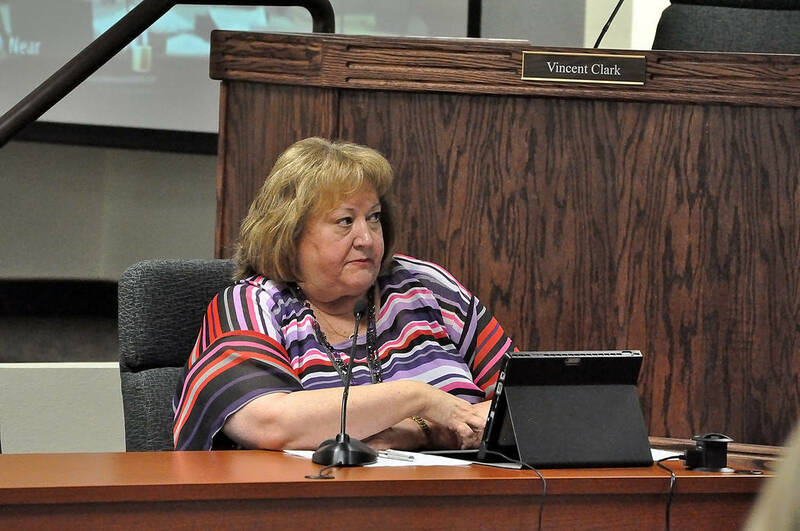 Horace Langford Jr./Pahrump Valley Times Nye County Manager Pam Webster said the county had been strapped on staff for a while and didn't have anybody who could oversee the county's website. Arnold Knightly, Nye County's spokesman who came on board recently, will be charged with oversight of the website. Arnold Knightly, Nye County spokesman, who will oversee the county’s page said officials are in the early phase of planning. The website is expected to be launched in 2018. “We don’t even know what this thing is going to look like, we are at the very basic, day-one stop of what we are going to be doing. It’s a multi-step process all the way to January,” Knightly said. The new website is going to be more community-friendly between officials and the county’s residents, Knightly said. It will include a variety of new features that will help the public to access information and have interactive capabilities. “If you look at our website now, it’s all there, but the functionality of it is like what it would have been when we launched it a long time ago. It’s not very user-friendly or inviting,” Knightly said. The new website will be developed by CivicPlus, a Manhattan, Kansas-based firm that designs websites for municipalities across the country. Nye County currently has a $12,000-year contract with CivicPlus for hosting and supporting of the current website. The county will pay the firm an additional $13,000 to develop a new website. Officials said they hadn’t been able to make any upgrades to the current website because of the limited staffing. Nye County Manager Pam Webster said the situation has changed since Knightly was hired as the county spokesman. “We were pretty strapped on staff for quite a while, and we just haven’t been able to spend the time updating it and getting current information on it,” Webster said. Each Nye County department is currently responsible for its own page, and the county hasn’t had anybody doing oversight of the whole website. “We have been working at it as we could and doing some improvements with some of the individual departments, but with Arnold, it’s going to be a major thing,” Webster said.